I want to thank Clóvis Ravagnani Sensei for sending me this information, which is a very good study material. I hope everyone enjoys reading. Quero agradecer ao Clóvis Ravagnani Sensei por me enviar esta informação, que é um material de estudo muito bom. Espero que todos gostem de ler. Quiero agradecer a Clóvis Ravagnani Sensei por enviarme esta información, la que es un muy buen material de estudio. Espero que todos disfruten de la lectura. Traditional Karate principles are transmitted today from the study of KATA. Underlying KATA are the fundamentals of BUDO with its long traditions as developed in Japan. Many masters have contributed their knowledge and experience to the development and refinement of our martial art. The outward manifestation of this knowledge is seen in KATA. From seeking to fully understanding KATA from the outside we can therefore begin to understand the essential principles that lie within. 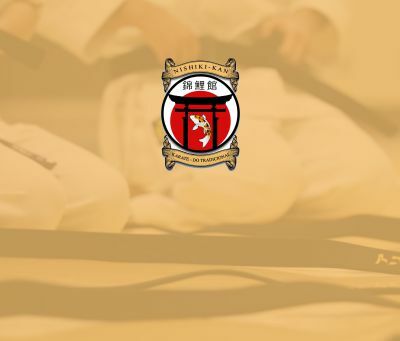 Just as many different BUDO martial arts teachers study the discipline, there are many interpretations of the Traditional Karate principles and their applications. 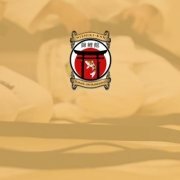 Only when the principles are actively applied to the physical techniques of KATA and KUMITE and daily training, do they have true value. If the fundamental principles are ignored, the results of training are only superficial and the participants never fully assimilate the inner meaning. In addition, by practicing incorrect and unnatural movements, the athlete can cause physical harm to the body. The same underlying principles that we receive from Traditional Karate can be seen within the development of other physical disciplines and sports systems. This text is a guide to the application of Traditional Karate’s underlying principles to its techniques. Keep the body’s axis extended through the body’s center of gravity and further extended through the supporting surface. * The maintaining of this body alignment perpendicular to the floor provides the most efficient body control. Maintain direct line connection from face and eyes toward the opponent. * This provides most efficient means of directing body movement. * Develops energy for movement and acceleration as well as overcoming opponent. Power is also provided by release of muscle compression/expansion by use of exhalation. While the body moves as a result of its musculature, the continued pressure exerted toward the supporting surface, combined with exhalation, together produce power. The acceleration of gravity through the compression downward of the stomach muscles creates the maximum pressure toward the floor. This combined with the External Force reaction makes the Final Power – KIME. Center of gravity balanced equally between both legs. A key point when in an stance is to maintain pressure to the floor. KI energy shooting to opponent. Use strong exhalation using stomach muscle compression toward floor, then using that reaction from floor to generate maximum momentum in delivery of technique. Maintain pressure to floor and do not bounce. Maintain pressure to floor and at the same time continue contraction from floor though the line of delivery of the technique. Maximum muscle contraction toward target in cases requiring shocking power, through use of sharp, strong, total body contraction. Remark: When delivering a “shock” technique, utilize total body musculature contraction at moment of impact thus tuming body momentarily to “steel. Maintain pressure to floor by supporting leg. Extend KI power toward target, maintain pressure to floor via supporting leg, then combining stomach muscle contraction and pendulum action of hips sharply bring supporting leg upwards at same time bending kicking knee. When technique reaches target, extend ki (using exhalation) and maintain pressure to floor. After reaching target, quickly retract hip using lower stomach muscles and while still exhaling turn breath back to yourself at same time quickly bringing back the kicking leg. Remark: When withdrawing the kicking leg, don’t drop knee until the initiation of the next technique. While the supporting leg contracts downward to floor, other leg squeezes upward utilizing stomach muscles focused from body’s center of gravity. ​Though the pressure exerted downward by the supporting leg, a reaction is created whereby the drives forward, accelerated by the compressed force generated by the supporting leg. At this moment, body shifting takes place. ​As the leading leg releases connection to floor, the energy is delivered to the supporting leg which then again switches the force forward, thus allowing for continuous shifting. As one squeezes leg upward into body, and releasing foot pressure to the floor, body is then able to control movement and direction. Remarks: Feeling is like gliding on thin sheet of ice, but with control. ​Always maintain both eye and KI power and KIAI contact with opponent. After completing one technique, don’t discontinue breathing but maintain unbroken exhalation and focusing of KI power toward opponent for next technique of combination. After the completion of a technique, don’t lose connection to next technique. Maintain contraction and pressure to floor in order to flow into next technique. Maintain “looking eye” feeling toward opponent. Project one’s “Ki” energy toward opponent. MIKIRI – estimate opponent’s mental and physical movement. Then give direction to body movement. During KAMAE, adjust breathing so that KIAI is possible at any moment. It is connected to breathing reaction rather than eye/mind reaction. Best time to execute a technique is when opponent is in state of KYO. During time between an opponent’s techniques. Eye first, feet second, spirit/courage then power/technique fourth – Traditional martial arts proverb. KI – Mind and Technique/power must be blended together. During opponent’s attack, detecting kyo and executing counter technique. Catching opponent in state of “Kyo” at the initiation of attack. Executing technique upon sensing opponent’s mental commiment just before initiating his attack. Executing technique when detecting KYO upon opponent’s initial physical movement to attack. Executing technique end of opponent’s attack in between attacking techniques or catching and blocking initial attack before next attack begins. Breaking balance by sweeping foot, etc., making KYO, followed by finishing technique. Making KYO by breaking opponent’s mental and physical balance with continuous attacks.